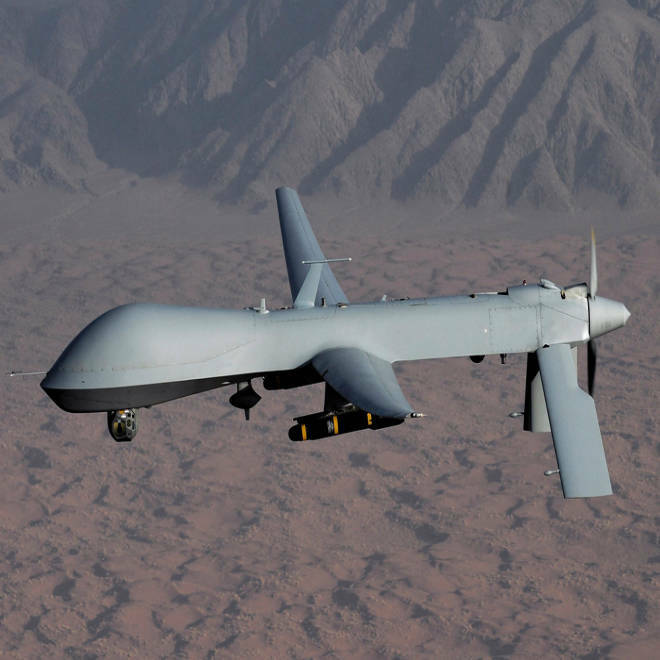 A Predator drone is shown in an undated photo from the Air Force. 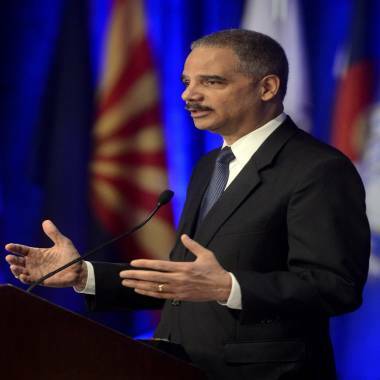 U.S. Attorney General Eric Holder addresses the National Association of Attorneys General in Washington, D.C., on Feb. 26. The Obama administration has "no intention" of carrying out drone strikes against suspected terrorists in the United States, but could use them in response to “an extraordinary circumstance” such as the 9/11 terror attacks, according to a letter from Attorney General Eric Holder obtained by NBC News.